The Rat turned from him in despair. 'You see what it is?' 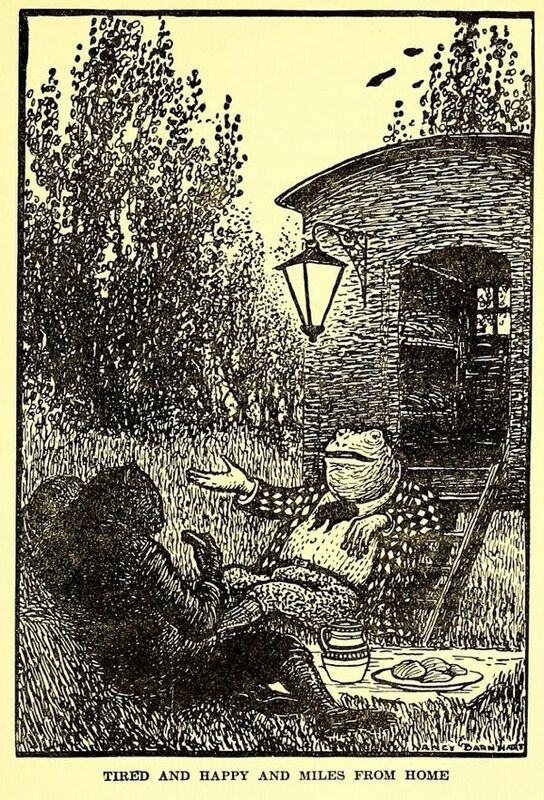 he said to the Mole, addressing him across Toad's head: 'He's quite hopeless. I give it up—when we get to the town we'll go to the railway station, and with luck we may pick up a train there that'll get us back to riverbank to-night. And if ever you catch me going a-pleasuring with this provoking animal again! '—He snorted, and during the rest of that weary trudge addressed his remarks exclusively to Mole.